If you are familiar with Pablo and the Medellin Cartel, then brace yourself because Escobar season has officially returned with rapper Primo Profit. 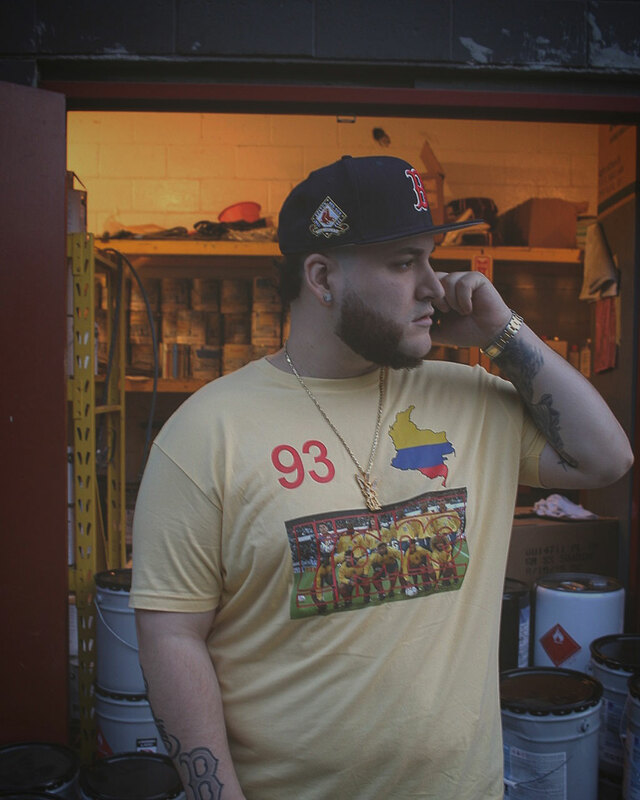 The promising Boston native, with family ties to Colombia, prides himself on being raised “across the Tobin.” This is how he identifies the East Boston and Chelsea area in his raps when giving off a contemporary feel, all while bringing Colombian culture to the forefront. The man born Julian Restrepo, also known as Periko Preme, decided to keep the Money Mobb movement going after a four year hiatus. He flipped the script and re-envisioned his sound and style which will be heard on his debut album Locksmith. With cosigns from Raekwon, Cardi B, Dave East and Jadakiss, Primo has caught the attention of Boi-1da, Hip Hop Zilla, Hip Hop Since 1987, Precise Earz and more. When he first stepped on the scene, Primo Profit quickly ignited the next phase of street rap rooted in real stories and original production. Rapping puré verses, he made noise in 2012 when he released the music video “Reza Por Mi” [featuring Gab Gotcha] off his Colombian Necktie mixtape. The 20-track effort also featured standout “Mass Pike Whippin” [featuring Sen City] and allowed Primo to cut his teeth on the road during the “Wu-Affiliates” tour. There was no slowing down for this music machine as he unveiled a series of mixtapes, including Herb & Turf with fellow ‘bean-town’ emcee O.T.O and Boom Trap. Shortly after, he recruited Tracy T for club banger “Let It Go” and earned his place in the music game. “The response I got from my first project, especially with some heavyweights from my city, inspired me to drop more and more music,” he exclaimed. “The buzz made Gab [Gotcha] bring me on as a special guest for his set with a lot of guys I grew up listening to.” Primo joined the likes of Killarmy, Killah Priest and more in Medellin, Colombia, then went on to visit and perform in the capital, Bogotá, for the first time. Colombia UND, Hip Hop Colombia, and has been live on air spitting bars for Medellin Hip Hop Radio. His name continued to ring bells in many areas which allowed him to tap French Montana and the late Chinx for “Fast Money.” The record was originally made in 2010 for Colombian Necktie, but re-released five years later to pay respects to Chinx. Now, with some talk surrounding his name, Primo Profit is more confident than he’s ever been with Locksmith. Following up his EP that dropped earlier this year entitled 3 for 100, where fans got a taste of his ability to tell hood tales over vicious beats, Primo is still eager to unload on his first full-length album. “I once took a break from music to mold and craft my style,” he explained “but an authentic Colombian story has yet to be told in hip-hop.” That’s exactly what Primo plans to do on Locksmith, set to release on all digital platforms on December 15th, and hosted by Hoodrich Entertainment mogul DJ Scream. You’ll find guest production from VDon, the man behind A$AP Rocky’s “Ghetto Symphony,” as well as appearances from Conway, Radar, and more. Simply put, Primo Profit is the closest thing to Pablo spitting a verse on 808s.